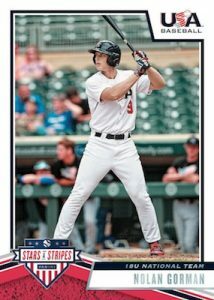 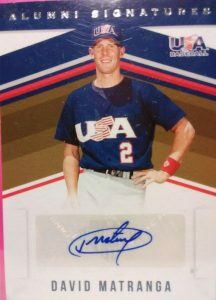 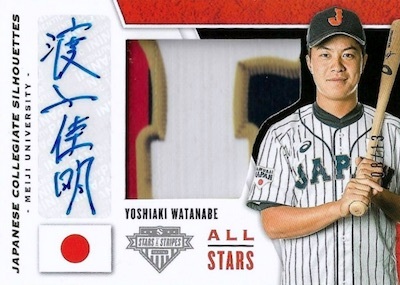 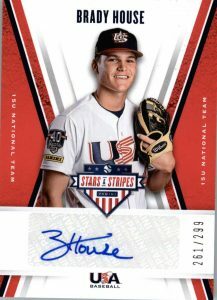 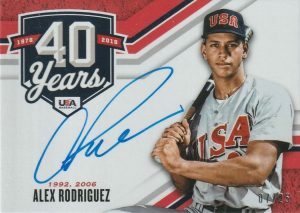 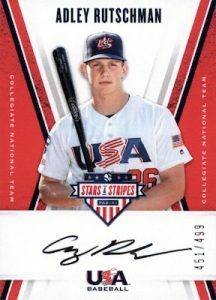 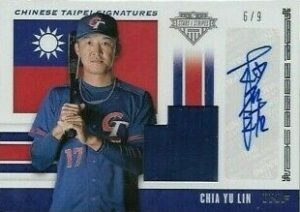 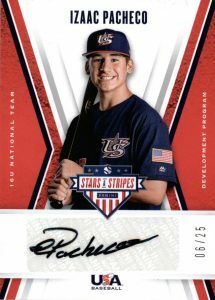 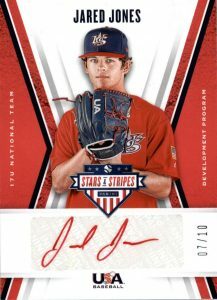 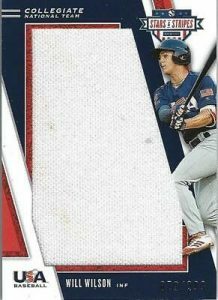 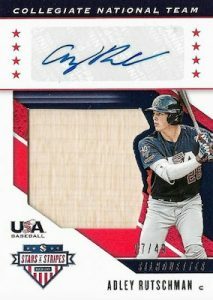 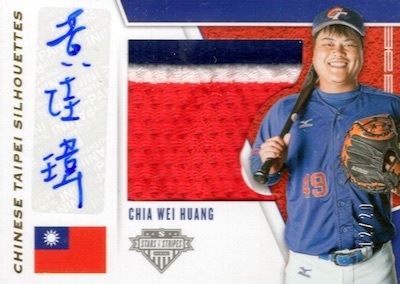 2019 Panini Stars & Stripes USA - Baseball Card Checklist	Overall rating:	5	out of 5 based on 1	reviews. 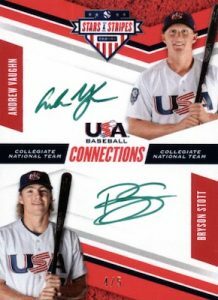 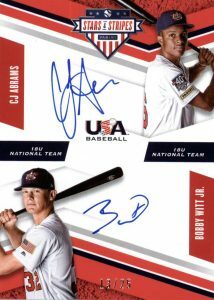 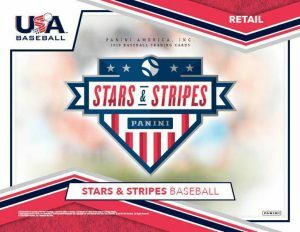 2019 Panini Stars & Stripes USA Baseball is an annual release that is aimed at celebrating the US National Baseball team. 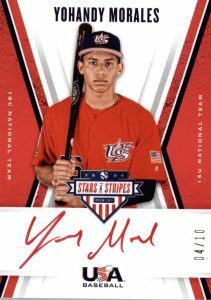 Not just limited to the professional level team, this product looks at sever different youth teams, from the 15U team, through the 18U team. 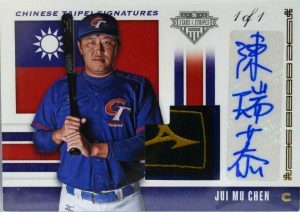 The release also takes a look at some of the USA’s biggest international competition, namely Chinese Taipei and Japan. 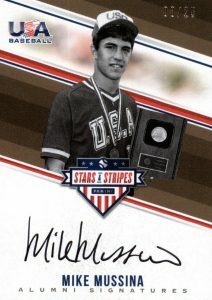 The set features a mix of autographs (sticker and hard-signed), as well as memorabilia, and signed memorabilia. 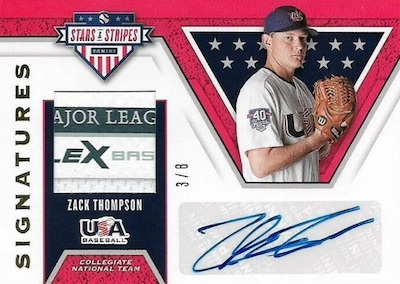 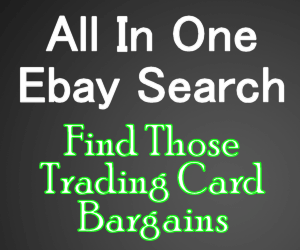 Each hobby format box offers fans 5 autos or memorabilia hits, as well as some base parallels. 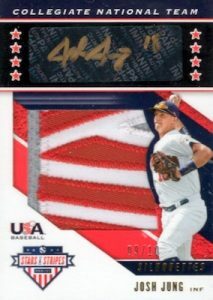 3 CJ Abrams / Bobby Witt Jr.
10 Bobby Witt / Bobby Witt Jr.
2018 Panini USA Stars And Stripes 1/1 Ethan Hankins Majestic Patch Auto!